Today, many artists who have been Rich’s idols have become peers, and his fans often become his friends, even if just through the shared experience of music. Countless couples and relationships were commenced to the soundtracks he has created time and time again. His eloquence extends well beyond the music he plays—Medina’s spontaneous use of language speaks to the fact that he’s been a well-respected spoken word artist for over a quarter century, not to mention that he’s a journalist who has contributed columns and features to a wide variety of publications, including The Fader, Complex and Wax Poetics. His commanding physical presence is a constant reminder of four years of varsity basketball while at Cornell University, not to mention a brief stint of semi-pro ball immediately thereafter. Rich Medina’s passion for spinning records began at the tender age of twelve, when he played his first party in his hometown of Lakewood, NJ. From that moment forward, he practiced and studied his craft with the focus of a seasoned athlete, quietly developing the skills that made sequencing and mixing music extremely natural to him. At twenty-five years old, Medina already had an Ivy League degree, a season of semi-pro hoops (dreams of pro-ball dashed by an injury), and two Fortune 500 jobs under his belt. He then made the brave decision to give up a six-figure job at Abbott Laboratories in favor of hauling crates of records between Philly and NYC to manifest his dream of being a well-respected DJ. Right off the bat, he was able to establish himself with residencies in both cities as well as a steady stream of guest appearances with the likes of Qool Marv, Prince Language and Bobbito Garcia, beginning the musical adventure that has now taken him far and wide around the globe many times over. True to his knack for being in the right place at the right time, in 2001, Medina established an unprecedented nine year run with his legendary party Lil’ Ricky’s Rib Shack at APT, in NYC’s soon-to-be-hot Meatpacking District. APT became a real destination in the City—a place with no nonsense and no bottle service, where folks like Puff Daddy, Kevin Powell, Lord Sear, Mos Def, Talib Kweli and Prince could be seen regularly, getting down on the dancefloor, mixing right in with the crowd. In the midst of APT’s heyday, in 2005, hip-hop legend Q-Tip chose Medina to be his partner for a new Friday night weekly called Open, at Santos Party House in NYC, which played to capacity crowds for the duration of its four year run. Using NYC as a catalyst, Rich became what many would call the ultimate DJ-in-residence, with steady established outposts in numerous cities, including Miami, San Francisco, Chicago, St. Louis, DC, Orlando, Pittsburgh, Cleveland, Amsterdam, London and Paris. One of Medina’s proudest achievements has been establishment of JUMP N FUNK in 2001, North America’s Original Afrobeat party, dedicated to the late Nigerian icon Fela Anikulapo Kuti. The groundwork laid down by Medina via his JNF brand to raise global awareness (not to mention the dancefloor potential) for Afrobeat was silently vital in setting the stage, literally and figuratively, for the award-winning Broadway and worldwide run of “Fela!”. And as with Rich’s other branded parties, JNF has been presented around the world, including, Tokyo, Brussels, London, Amsterdam, and over twenty cities across North America. DJing only scratches the surface of Rich Medina’s story. His spoken word artistry has been featured on records by the likes of King Britt, Phil Asher, De Lata, Antibalas, IG-Culture, and Nathan Haines. As a record producer, he has collaborated with the likes of Jill Scott, J Dilla, Platinum Pied Pipers, Martin Luther, DJ Mitsu The Beats, Okada Taxi, Ty, Bobbito Garcia, 4AD, Blue Note Records, and Concord Music Group. He also released his first full-length LP, “Connecting the Dots” in 2005, on the Dutch indie powerhouse label Kindred Spirits. 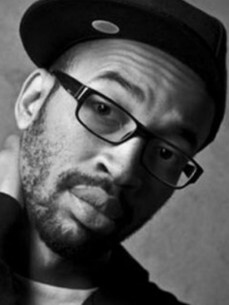 While attending his twentieth college reunion at Cornell University in 2012, Medina was approached by the school’s director of The Cornell Hip Hop Collection to become the first ever Cornell alumnus to join their esteemed advisory board. The collection consists of the largest acquisition of rare and at-risk materials and artifacts covering the beginnings of hip hop culture—the most extensive held by any organization in the US. He has lectured on numerous topics and moderated multiple panel discussions for Cornell’s Music and Africana departments. He has also been invited to speak at San Francisco State University, and was a featured speaker at TEDxPhilly in 2011. Rich is a card-carrying member of the Rock Steady Crew and the Universal Zulu Nation. And he has consistently lent his name to charitable organizations close to his heart, most recently The Africa Center, Room to Grow and GrassRoots.